CHICAGO — When Bob Stratta pitched in the 1967 Little League World Series, he was just having fun. "You are 12. You are just playing baseball," Stratta said. "The whole magnitude of it hits you years later." Forty-seven years later, the star pitcher of the North Roseland Little League team says he continues to watch the tournament every year and has tracked this year's Jackie Robinson West squad, only the second Chicago team to make the tournament since 1967. "The team from Chicago now scores a lot of runs," Stratta said of Jackie Robinson West, whose first game ended 12-2 due to the mercy rule. "Most of our games were defensive games." 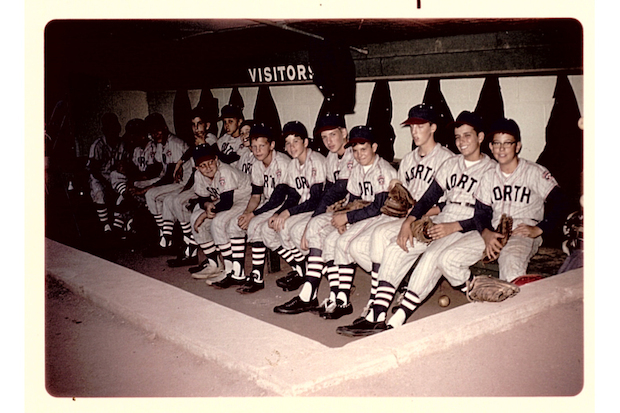 Bob Stratta was the star pitcher on the 1967 North Roseland Little League team. Now a surgeon in Winston-Salem, N.C., Stratta also has coached Little League for 10 years. Stratta, now 59, and his catcher, Kevin Marich, now 58, say they vividly remember playing baseball as boys on the Far South Side. The trip to Pennsylvania in 1967 was unlike any most of the boys on the team have ever taken. "It was a big highlight in my life," said Marich, now of southwest suburban Frankfort. In the first game of that World Series, the Roseland team beat a squad from Spain, mostly made up of American military kids, 1-0. Stratta pitched a no-hitter. During a rain delay in the championship game — which they lost to a team from West Tokyo 4-1 — the boys got to meet baseball legend Ted Williams. After the tournament, they spent a week in Montreal for Expo 1967 before returning home for a Downtown parade with Mayor Richard J. Daley. "You were an instant celebrity when you got back to school that year," said Marich, who was 11 years old and the youngest player on the team. Like other members of the 1967 North Roseland team — made up of 16 boys, all white — Marich left the neighborhood not long after their tournament. "We left in the summer of 1969," Marich said. "Those were changing times." The current Jackie Robinson West squad of made up entirely of African-American boys, something that its coach Darold Butler told DNAinfo Chicago was significant. "It's an all African-American team," Butler said prior to the tournament. "That brings something totally different to what's going on." Stratta attended Fenger High School the first half of his freshman year before moving with his family to Olympia Fields. 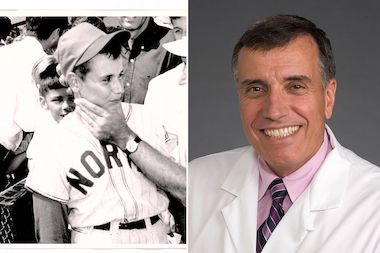 Now a surgeon based in Winston-Salem, North Carolina, Stratta attended the University of Notre Dame on a baseball scholarship and has been a Little League coach for the last 10 years. He noted that while the Far South Side has changed considerably since his days on the sandlot, there's one key similarity between this team and his team from nearly a half century ago: Both are teams of boys no older than 12 years old. "The key to success when you are playing in the World Series is not to be caught up in it as an event. It was about having fun and having good fundamental baseball," Stratta said. "You just play the game."